Over 120 business people and dignitaries attended the launch of the African and Caribbean Chamber of Commerce and Enterprise (ACCCE) at Circomedia. 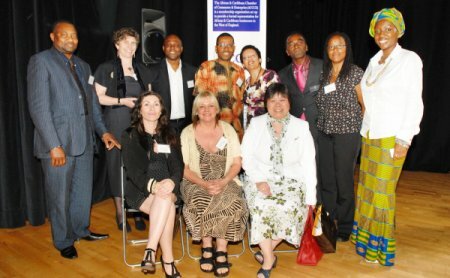 The new Bristol-based Chamber of Commerce and Enterprise supports African and Caribbean led businesses in the South West. Working closely with GWE Business West, ACCCE will provide members with networking opportunities, business advice, and a range of training and mentoring programmes. The Right Honourable, the Lord Mayor of Bristol, Councillor Christopher Davies spoke at the launch event and Lee Jasper, founder member of Equanomics UK gave an inspiring speech and call to action. Nigel Hutchings, Director of Regional Affairs, GWE Business West pledged ongoing support to the Chamber. The Chamber also received a message of support from Dragon’s Den star, entrepreneur James Caan, co-chair of the Ethnic Minority Task Force. Mr. Caan said: “It is important to recognise the contribution that ethnic minority – led businesses make to the UK economy and to support the wealth of emerging talent, especially in our inner-cities. I wish the African and Caribbean Chamber of Commerce and Enterprise all the very best with this important initiative”. Over 100 businesses signed up for membership from a wide range of sectors including: law; retail; accountancy; entertainment; marketing; ICT; journalism; public relations and design. Membership is open to anyone who supports the aims and ethos of ACCCE.